Whitey had two women in his life. 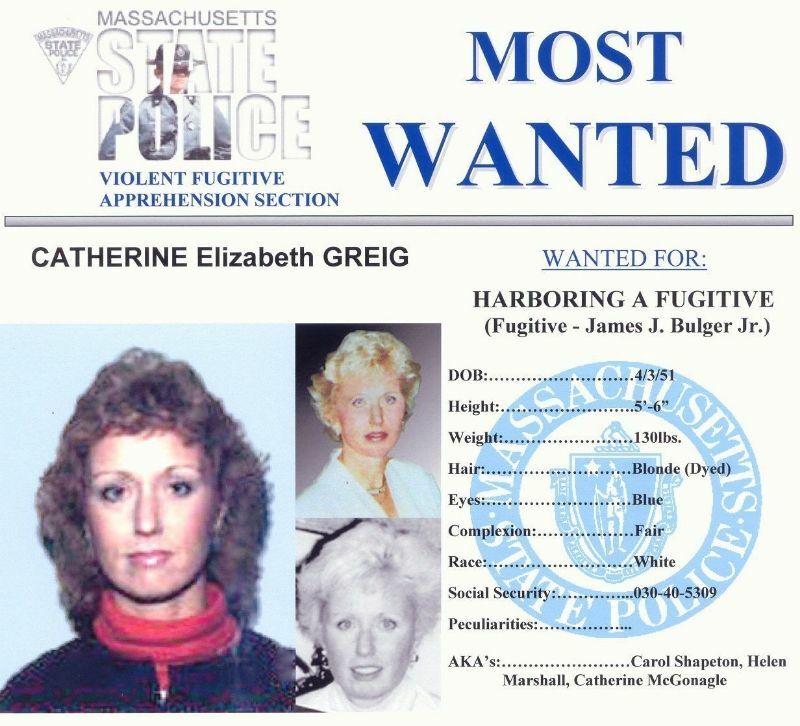 We are probably more familiar with Catherine Greig, who spent 16 years on the run with him. But there was also Teresa Stanley, who could be considered his common law wife. I am going to try to keep their stories separate, but it may be difficult, as it’s a tangled web that Whitey wove. He was living a double life with the two of them. We’ll start with Ms. Stanley since he began his affair with her first. Teresa M. (McDougall) Stanley, also a Southie, began dating Bulger in the fall of 1966. She was a divorcee with four children, ages 3 months to 7 years. She was either 25 or 26 (I get conflicting stories). 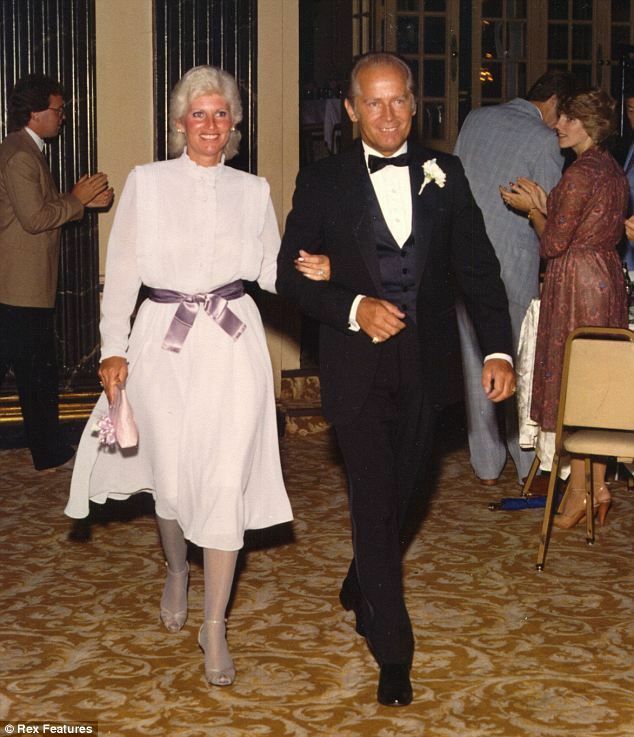 They never married, but Stanley said Bulger supported her and her children and raised them as his own, even walking her daughter down the aisle and paying for her wedding. He kept a separate apartment, but had dinner with Stanley and her children most nights at the home he purchased for her on Silver Street on Telegraph Hill in Boston. He spent all holidays with them. Stanley testified that she did not know the extent of his crimes. She suspected he was involved in loan sharking, etc. but didn’t take it as far as murder. When she asked questions, he told her to mind her own business. And she chose to turn a blind eye. Bulger told Stanley, “With me, you will never have to work a day in your life. I will take care of you. I will be a father to your children. I will provide for your every need.” In return, Bulger had Stanley learn to cook, “though I never really liked it.” He set her up in a home in Southie and made sure she kept it spotless. He turned her into the woman he wanted her to be. 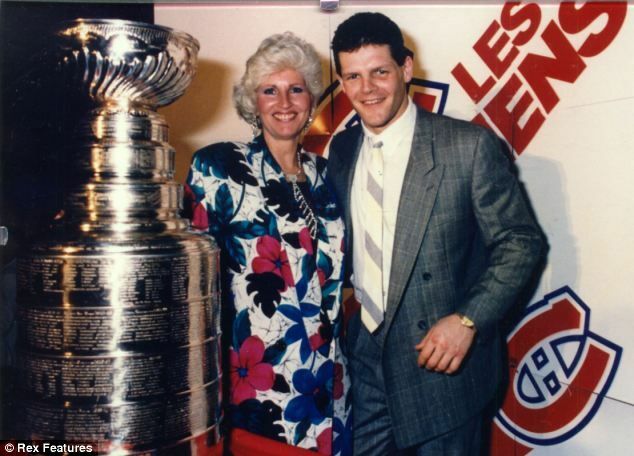 Greig, also a Southie, had a career outside the home, unlike Teresa Stanley, who chose to be a full-time mom. Greig was a dental hygienist. Prior to her affair with Whitey, she was married to a firefighter, Bobby McGonagle, who she married at age 20. Apparently he was caught in a compromising position with her twin sister. He joked to family members that he confused the two. (Boston.com) You’d never guess that from the public persona of sisterly love they have displayed for the media. Catherine and Bobby split up in 1973. Shortly afterward, at age 24, she began dating Whitey. He bought her furs and set her up in an apartment in Quincy. Then he set her up in a house on Hillcrest Road. 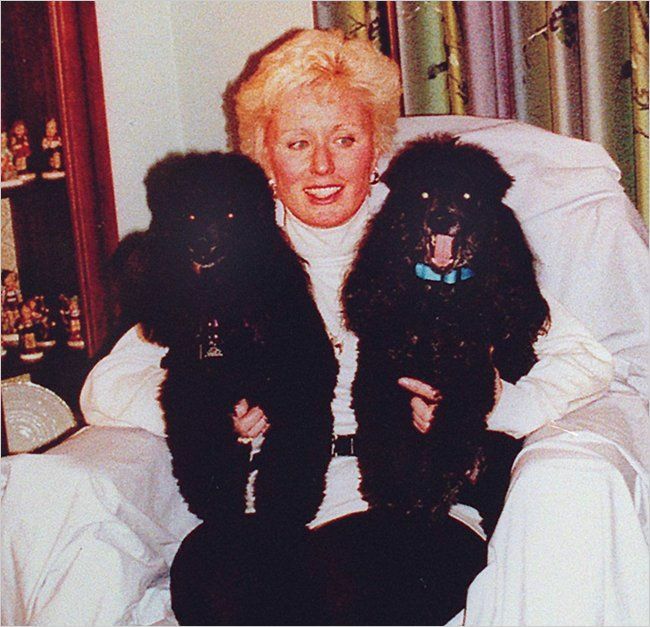 Neighbors said that she was friendly and was often seen walking her toy poodles, which she kept well groomed. Although Greig was tolerant of Whitey's flings in the early years of their relationship, she later fought constantly with him about Teresa Stanley. 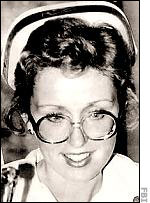 It was the fall of 1994 when Catherine Greig contacted Teresa Stanley, and all hell broke loose. Not from the women, mind you. Greig fought constantly with Whitey over his relationship with Stanley. One night in the fall of 1994, she’d had enough. Greig called Stanley’s home looking for Whitey. “He’s not here,” Stanley said. “I think we have to talk,” Greig said. “Something bad is going on.” Stanley suddenly felt anxious. She had heard rumors about Whitey’s womanizing, but he had convinced her she was his only lover. Minutes later, Greig pulled up outside in a green Ford Explorer and Stanley climbed in. It was an awkward moment, the first time the two women Whitey had so carefully kept apart for decades had met. Stanley’s heart was pounding, but she willed herself to stay calm and dignified. They drove in silence during the 6-mile trip to Greig’s home. Greig led Stanley into the living room, where she took a seat and nervously lighted a cigarette. 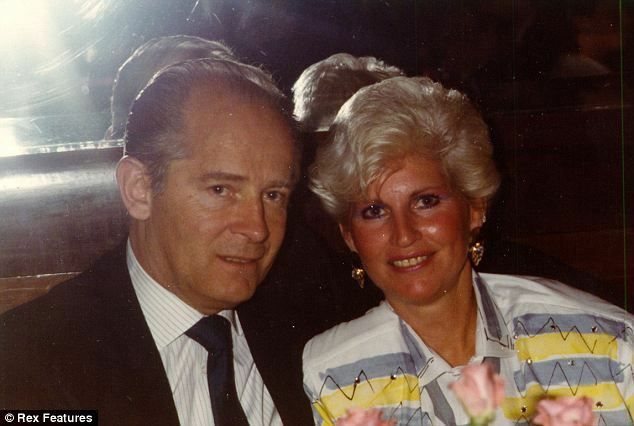 As Stanley listened in silence, Greig revealed that she had been having an affair with Whitey for nearly 20 years, that she loved him and was devoted to him, and that he supported her financially. She was tired of living a double life and wanted Whitey to choose. Stanley was thunderstruck. She felt like a fool. Thirty years together and she didn’t know? The two women were still sitting, stewing in discomfort, when a highly agitated Whitey showed up with Kevin Weeks in tow, banging on the door until Greig let him in. Someone who had seen the women drive off together had called him. Both Stanley and Greig had witnessed Whitey like this before — breathing heavily, battling his temper. These were dangerous signs. He was under tremendous pressure already — he had been hearing rumors that a multi-count extortion indictment was being prepared. Now his personal life was imploding, too. “Let’s go,” he snapped at Stanley. Finally, Whitey succumbed to his rage. “He grabbed Cathy by the neck, whipped her down to the floor, and started choking her,” Weeks later recalled. “He lost it. He had both hands on her neck, squeezing her. I thought he was going to kill her.” Weeks tugged hard on his boss’s arm, dragging him away from Greig and toward the door. Greig struggled to her feet, trying to regain her breath. Whitey again demanded that Stanley follow him, and this time she complied. In the car, he insisted that he had already ended the affair. “It’s over between us, and she’s just doing this because I left her for you,” he said. Stanley wasn’t buying it. She knew that Greig was telling the truth, and she was devastated. She would never feel the same about Whitey, would never get over his betrayal, which quietly continued. A few days after the blowup, Whitey was back at Greig’s door, and Cathy wouldn’t or couldn’t turn him away. Stanley remained with Whitey, initially. He whisked her away on a trip to Europe. They went to Dublin, Rome and London. Shortly after they returned, in December 1994, Whitey got a tip from John Connolly that he was about to be indicted on federal racketeering charges. So he was off on the run…..initially with Stanley. They spent Christmas in New York City, New Years in New Orleans and headed to Clearwater, Florida. When there was no news of his indictment in a few weeks, he decided to head home. They were on the highway in Connecticut when news came over the radio that Flemmi had been arrested and there was a warrant out for his arrest. He turned the car around and headed towards New York. Teresa was apparently in the dark as to any of this. She was led to believe by Whitey that they were just on an extended vacation. But at some point she got tired of it all, missed her kids and asked him to take her home. This was February 1995. He proceeded to drive to Quincy to pick up Greig and thus began his life on the lam. Teresa Stanley, at age 54, had to begin a new life without Whitey. Stanley, who had been a stay at home mom for years and had no pension, took on a job working as a banquet waitress at the Boston Convention and Exhibition Center, and tried to keep a low profile. 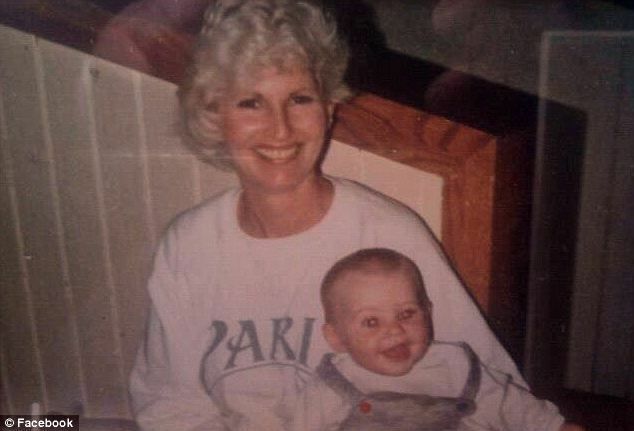 She passed away August 16, 2012 (before Whitey went to trial). Stanley died of lung cancer at age 71. In March 2012, Greig pleaded guilty to three charges: conspiracy to harbor a fugitive, conspiracy to commit identity fraud, and identity fraud. She faced a maximum of five years behind bars for each charge and a $250,000 fine. However, federal probation officials originally calculated that she should face 27 to 33 months under sentencing guidelines. Her lawyer said this amount of time accurately represented “her personal history.’’ He asked for 27 months. But federal prosecutors argued for a 10-year sentence, with relatives of Whitey’s victims wanting her to serve the full 15 years. On June 12, 2012, Catherine Greig, at age 61, was sentenced to 8 years in prison. The prosecution’s arguments were that she was a key actor in a conspiracy which allowed Whitey to evade capture for 16 years -- that she, by choice chose to help a man who had been accused of vicious crimes. Greig’s attorney appealed, but the 8 year sentence was upheld a year later in May 2013. Whitey was furious that she got a stiffer sentence than those who snitched on him. Boeri, David. 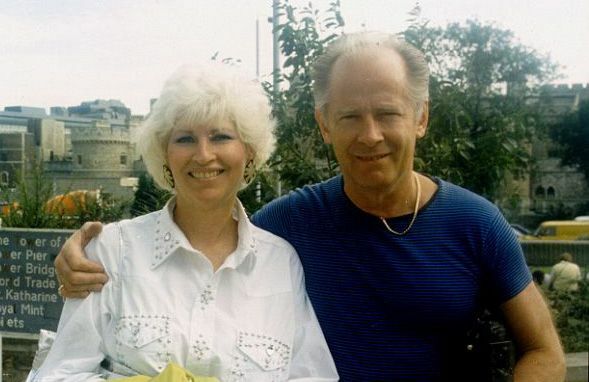 (August 21, 2012) “Bulger’s Late Girlfriend Had Secrets To Share With The FBI” 90.9wbur. Murphy, Shelley. 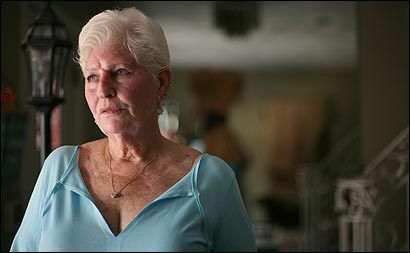 (August 18, 2012) “Teresa Stanley, Bulger’s other longtime mate, dead at 71” The Boston Globe. Cullen, Kevin and Murphy, Shelley. 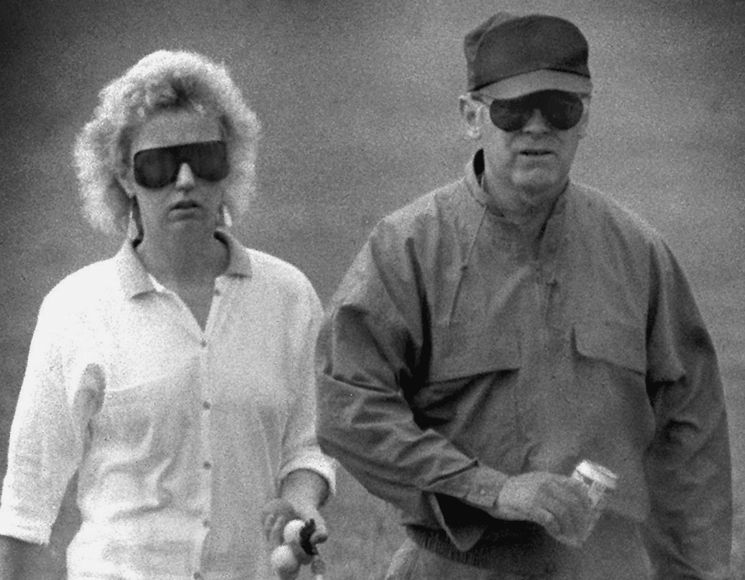 (February 24, 2013) “James ‘Whitey’ Bulger & Catherine Greig’s story” The Boston Globe. English, T.J. (June 11, 2012) “Whitey Bulger’s Women: Inside the Terror and Glamour of His Ex-Girlfriends” The Daily Beast. “A Gangster’s Gal Was Loyal to the End of Life on the Run” The New York Times. Valencia, Milton J., Murphy, Shelley and Finucane, Martin. 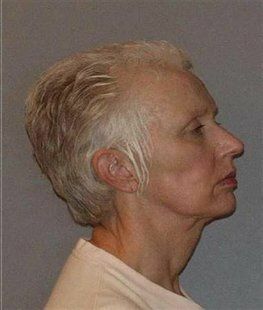 (June 12, 2012) “Catherine Greig, girlfriend of notorious Boston gangster James ‘Whitey Bulger,’ sentenced to 8 years” The Boston Globe. Gorman, Ryan. 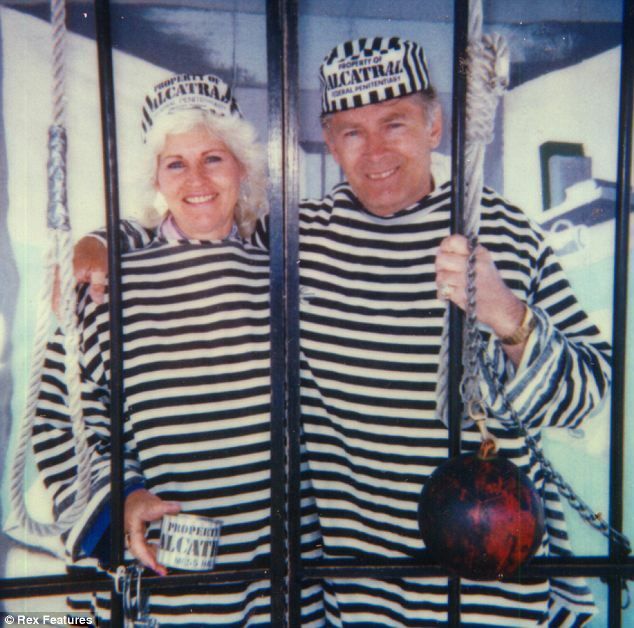 (September 2, 2013) “Whitey Bulger is furious his girlfriend is serving MORE jail time than killers who snitched on him” Mail Online. Who was it who had Whitey's son? shadowydog wrote: Who was it who had Whitey's son? SD, this article talks about Whitey's son. Wow! I had no clue. Was that in the book and I missed it? Liz wrote: Wow! I had no clue. Was that in the book and I missed it? No, I think that was in the biography but was never mentioned in the Black Mass book. Black Mass really doesn't tell the whole Whitey story. No, it mostly focuses on the mob/FBI relationship. Don't remember where I read it; but she was a teenager when she had the child. Whitey was devoted to the child and devastated when his child died fairly young. Bulger at first when discovered Lindsey was pregnant suggested an abortion to. Lindsey refused categorically. Baby Douglas Glenn so born after a long and painful labor on May 22 1967 at the Jordan Hospital in Plymouth. Whitey was close to Lindsey. Anxious. Nervous at time with Lindsey, as a dad attentive and generous with gifts and time, but only when of course he could live a so called “normal life”. Baptism was celebrated at the Pilgrim Congregational Church. Whitey attended the baptism but the baby was not registered as Whitey’s son on the child’s birth certificate for security’s reasons. Lindsey was constricted so to listing as the dad of the little baby Richard Cyr, a friend and she changed her last name from Chester to Cyr. Whitey lived his son’s departure with profound melancholy. Whitey attended the funeral but after the departure of his beloved son Douglas the relationship with Lindsey started to tremble always more. Whitey specified to her, in case it wouldn’t be clear, he didn’t want to have any more children. They broke up in 1980. Whitey lived his son’s departure with profound melancholy." And that little tidbit may be why the character of Lindsey is in the film. Johnny had mentioned wanting to bring a more human version of Whitey to the screen and that moment when his son dies and he cries may be part of that. Though I do hope that it doesn't portray him too nicely. Thanks Joni. In a sense it is interesting (and scary) how those around people like Whitey agree they were vicious but also shrug and imply they weren't that different from all the others in the area at the time. Great video! He had a good attitude about it all. Thanks, Joni. I've got to say that if it is true that Stanley is not in the movie, that really bothers me.